Head over to Amazon and get the TX Juice Sonar Copter for Just $8.62! (Reg. $80!) FREE Shipping on orders over $49 or if you have Prime! Sonar System For One Press Take Off – No more crash take off’s! Sonar System For One Press Auto Land – Patented Artificial Intelligence system allows perfect landings! 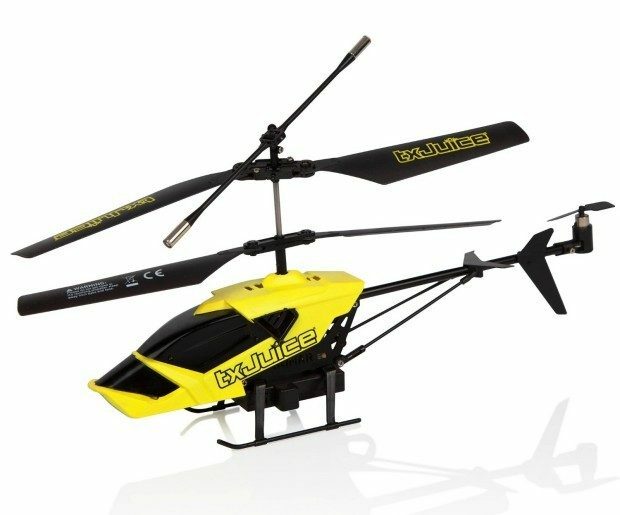 Simply the Easiest to Use R/C Helicopter – Crash landings and take off’s, normally common place with R/C hell’s are now a thing of the past! 2.4Ghz Hobby Grade Chip for long distance flights – fly to distances of 250 feet or more! Switchable from Sonar to IR – Making Sonar Copter perfect for indoor use too!